This framed original acrylic on canvas painting depicts fly fishing gear sitting on the ground next to an old tree stump. The composition shows a pair of Chota wading boots, hat, sunglasses and fly box. Outside dimensions of frame are 20.5″ by 16.5″. Inside dimensions of painting are 15.5″ by 11.5″. 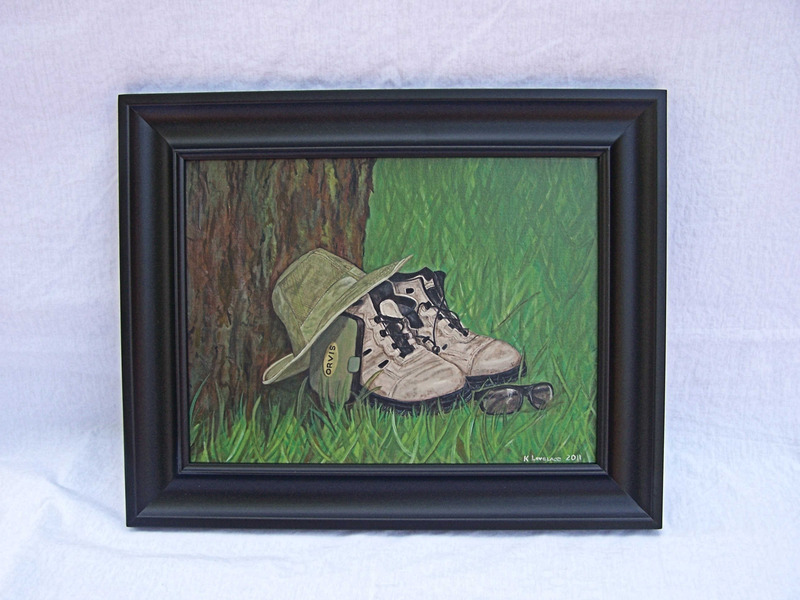 Framed Still Life Painting "Boots"